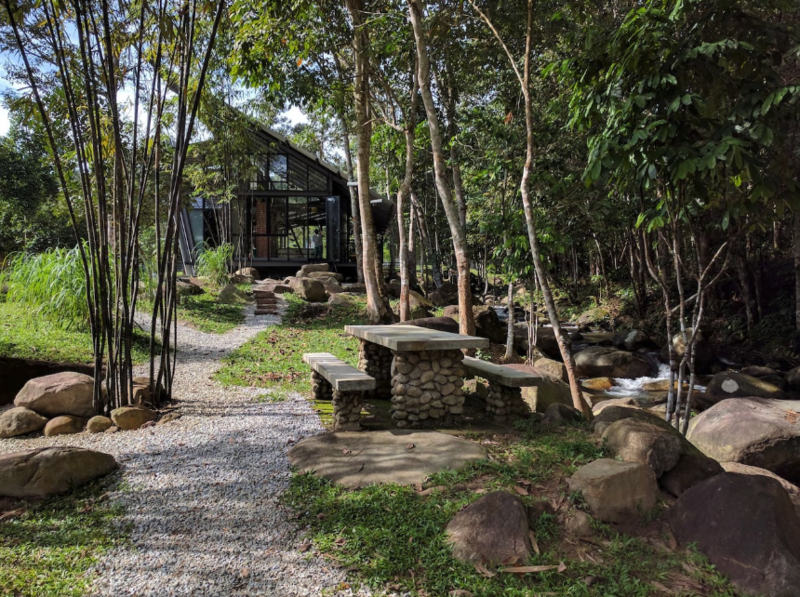 Our charming 3-acre orchard and animal farm is located just outside KL city, featuring a self-catering lodge uniquely designed overlooking a cascading stream. Relax in style, get up close with animals or explore our natural surroundings at your leisure. We welcome all families and friends, in groups of 8 persons and more, to stay and share an unforgettable experience at Tanah Larwina! - There’s no housekeeping service, though our caretaker will be around should you need any assistance.